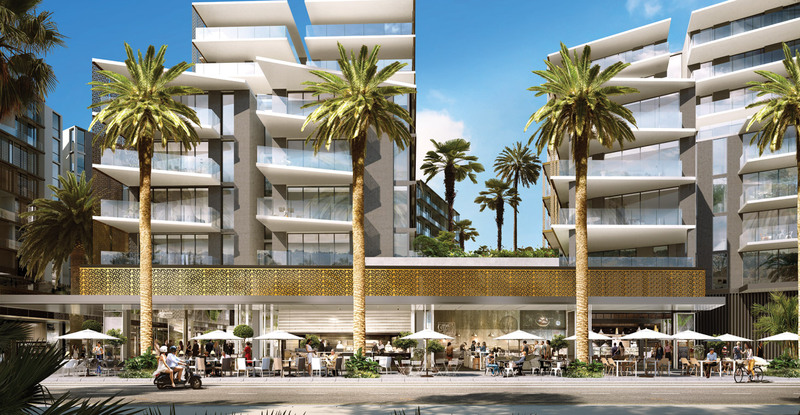 Pierside is upmarket retail that takes its cue from the world’s greatest boutique districts, but does so in a way that’s distinctly waterfront and highly tailored to those fortunate enough to live at Jewel. 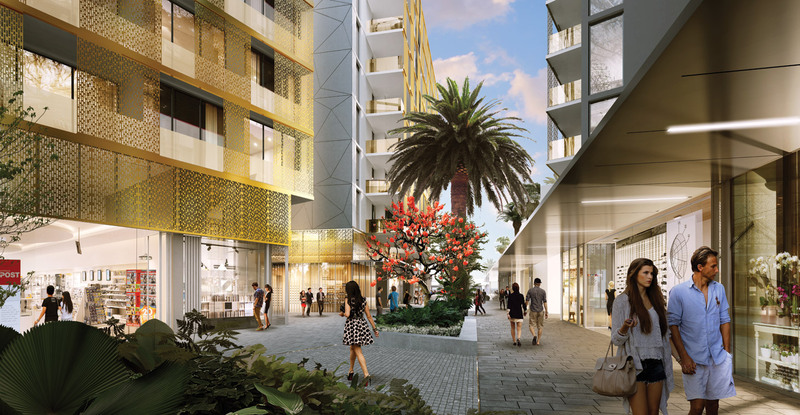 The dynamic new shopping district, Pierside, will capture the essence of urban life and bring the suburb alive. On offer will be a supermarket, everyday shopping services, a childcare centre, cafes, bistros, wine bars and more. Wander downstairs to Pierside and you’ll experience the easy atmosphere of a truly local village: a favourite place to sit with a coffee on a sunny day; enjoy breathtaking views over the water; dine in the open air. Stroll along Ferry Walk and you will find a hub of activity where people can intermingle heading to and from the ferry or at the supermarket shopping for bread, deli goods and grocery items on the way home. 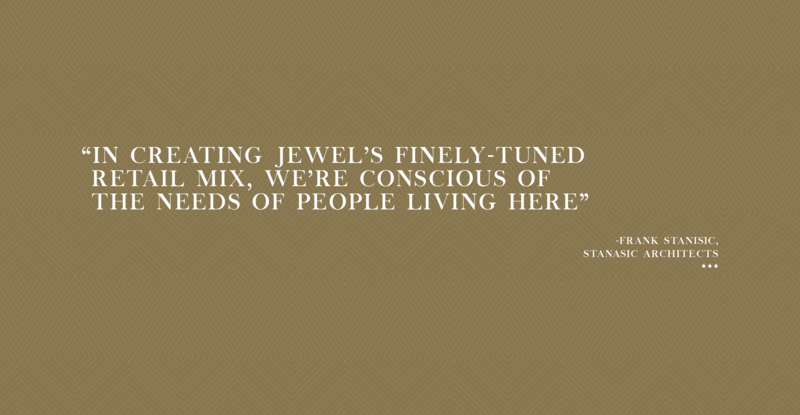 Jewel will not just be a beautiful place to live – Pierside’s boutique waterfront village atmosphere will make it an easy place to live, treading that wonderfully balanced line between ‘everyday’ and ‘special’. Stansic Architects’ principal, Frank Stanisic has an immense reputation in urban design and live-work-play precinct building. He and his team have meticulously analysed, planned and conceived Pierside’s retail sphere to create a highly bespoke and carefully tailored environment. “We’ve thought about the experience of everyone who might live or visit: someone dropping off the kids at the new childcare centre or neighbouring primary school before work; a daytime visitor; a resident wanting a night out. We put ourselves in their shoes and asked, ‘what are they looking for?’ Through this careful planning we shaped the form and mix of Pierside,” says Frank. Reminiscent of some of the world’s most luxurious coastal destinations, it will be a place to see and be seen, a place to soak up the atmosphere, somewhere relaxing by the water to grab a bite to eat or an ice cream for a seafront stroll. A place of leisure where people can relax, socialise, shop, and enjoy good food: Pierside will provide a wonderful gathering spot for residents, locals and visitors to take in the beautiful architecture amidst lush landscaping, waterfront seating and sunshine, while admiring the incredible Harbour vistas. “There’s a sense of community on your doorstep,” says Frank, “where you can come and go, greet the local grocer and barista, all in a beautiful harbour village setting”.